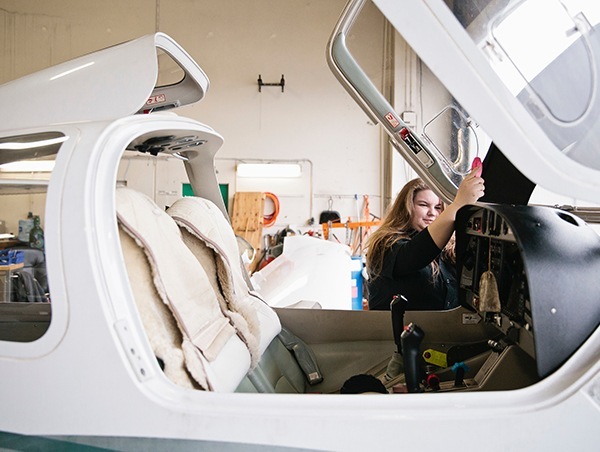 Serving Washington State’s aviation community since 1930, we know that one of the most important parts of flying is keeping your aircraft in safe and proper working condition. Our team of highly skilled and experienced technicians are here to help address any aircraft maintenance needs you may have to get you back in the air as quickly and safely as possible. Safety: Safety is a core business function and corporate responsibility for Galvin Flying. In an industry that requires careful attention to detail and honest risk assessment, maintaining every aspect of an aircraft is vital to a long, safe, enriching, and ongoing flying experience. Customer Service: As a leader in the aviation community, our customers are always at the front of our minds. Our talented team of technicians will ensure that your aircraft is running in excellent condition, and keep you informed with the most up-to-date status throughout the maintenance process. Owner Engagement: Maintenance is an important part of keeping you engaged with your aircraft. By paying attention to the details, systems, and components of your aircraft, you will develop lifelong safety habits, which will help to keep you safe, and save you money. No matter what type of maintenance or repairs you’re looking for, Galvin Flying is here to meet all of your airplane maintenance needs. Our two priorities are always safety and customer service, both of which will keep you satisfied, secure, and in the air. Contact us today to make an appointment to see how we can help you maintain your plane!